During the 1880s, a gentleman by the name of J.D. Baker decided to take a business gamble by moving to Weatherford, Texas. In 1890, he, along with his business partner Mr. Poston, opened a dry goods store. The store was a huge success in the still developing town of Weatherford, and it quickly developed into a chain. Mr. Baker and his wife had four children together: Charles, Harry, Mary and Ethel. In 1894, the Baker family decided to begin constructing a large house as testament to their success. It was, unfortunately, around this time when thirteen year old Ethel passed away. Thus began an onslaught of family tragedies. Mr. Baker himself died unexpected on Easter, 1899. Less than ten years later Harry died from a ruptured appendix while on a business trip in Chicago. But perhaps the strangest incident happened to Charles Baker. In 1908 Charles set out on a business trip from San Francisco to Seattle…but never made it to his destination. An array of search parties, circulation flyers and rewards were posted, but Charles was never found. In 1936, Mary, the only living child left of Mr. Baker’s, had her brother officially declared dead. 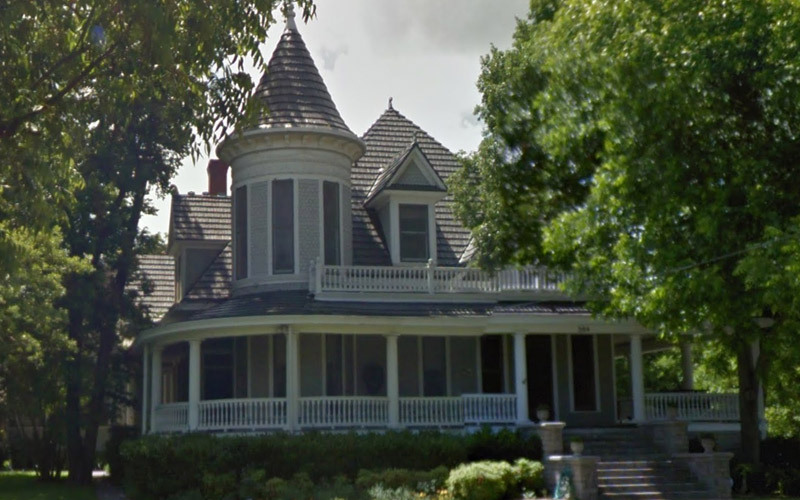 The Baker family retained the house in Weatherford until 1942, when Mrs. Baker passed away. Today the house still stands and is known in the area as Baker Mansion. An anonymous friend of the current owner has come forward, claiming that the Baker Mansion has been haunted for quite some time now. He, along with a few others, have witnessed seeing a shadowy figure linger on the stairs. He also heard phantom footsteps in the basement. Nobody is certain as to who the spirit is, but the friend believes it could be Charles Baker, the long lost son. Dead, perhaps even killed, in a foreign place alone, it only be natural for his soul to come back to Baker Mansion to rest. “If I had been Charles Baker, that’s precisely what I would have done,” the friend said with a furtive nod. “After a handful of us saw the shadowy apparition standing on the stairwell, I decided I wanted to investigate the house further. I began going over frequently, hoping to see a ghost or hear a disembodied noise again. I was having terrible luck until a professional paranormal investigator told me that it would be worthwhile to invest in a spirit box,” he informed us. “So that’s what I did. I started going through each room of the house very slowly, with the spirit box turned on. As I traveled from room to room I realized that I was hearing the sound of breathing that wasn’t coming from my body. “I decided to experiment by rapping my knuckles on a door. Sure enough, a few seconds later, I heard the distant echo of someone knocking elsewhere in the house,” he nodded. “It could have been a breeze, sure…but I just don’t think so. “After a few hours of this, I decided it was time to give up for the time being. Nothing had communicated through the spirit box and I was tired. I stepped out onto the lawn and that’s when I saw it. 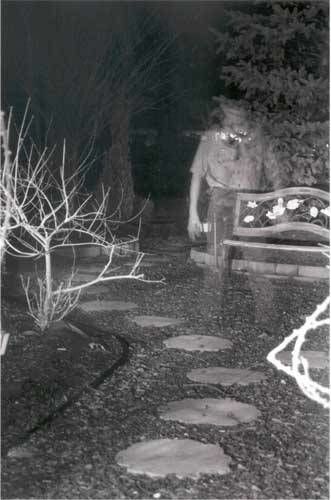 “There was a man, hovering in the garden with translucent, foggy skin. As soon as I registered him, he was gone. All that was left was mist in the air.